If you are interested in receiving our Board of Education meeting briefs, please subscribe here. 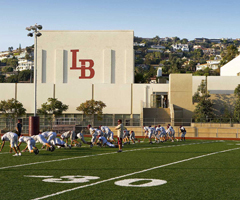 The Laguna Beach Unified School District shares current news about our students/school sites, and includes photo albums of recent events on our Facebook and Twitter pages. We encourage you to connect with us by clicking "Like" on our Facebook page and following us on Twitter!